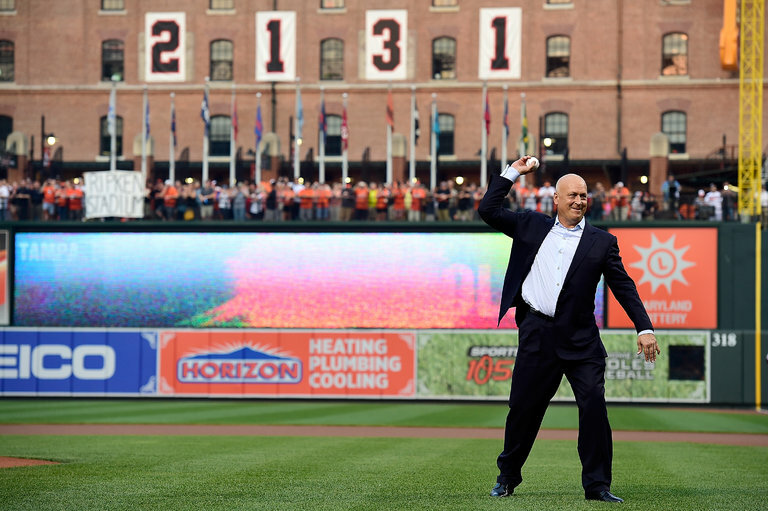 You Are Here: Home → 30 Seconds With Cal Ripken Jr.
Cal Ripken Jr. threw out the ceremonial first pitch before a game last September as the Orioles celebrated the 20th anniversary season of Ripken’s breaking Lou Gehrig’s consecutive games played streak. Of all the star athletes who have retired, you would think that Cal Ripken Jr. would want to sit back and relax. But baseball’s Hall of Fame ironman still seems disinclined to take days off. In addition, the Cal Ripken Sr. Foundation, named after his father, has built over 50 multipurpose fields across the country to give children places to play.